Wall Street analysts have begun to reflect the lower tax rates into their financial forecasts. 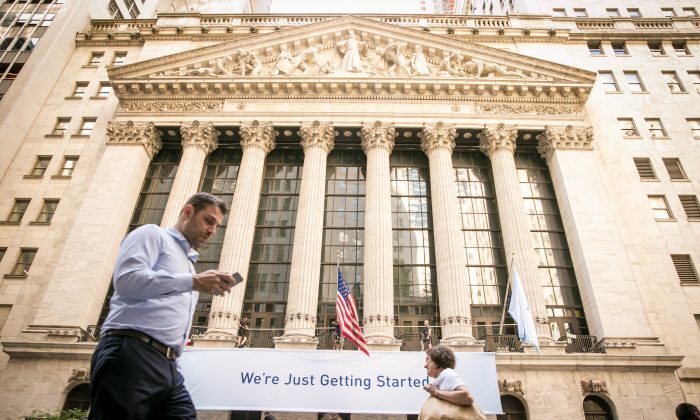 Earnings per share (EPS) estimates for the companies in the S&P 500 index has increased by 7 percent for the year 2018, according to data provider FactSet. This is the largest increase since the company began tracking the data in 1996. “Analysts have increased EPS estimates for 2018 in large part to reflect the reduction in the corporate tax rate due to the recently passed tax legislation,” stated John Butters, senior earnings analyst at FactSet. In addition, a record-high number of S&P 500 companies issued positive EPS guidance for 2018. From Dec. 31 through Feb. 15, the number of companies that announced positive guidance was 127, which is more than double the 10-year average of 49. Many public companies issue guidance for future earnings in advance of their actual financial results. And guidance is classified as positive if the estimate by the company is higher than the consensus estimate. The top sectors that report positive guidance are health care, industrials, information technology, and consumer staples. In addition to tax law, drivers for positive guidance are an improving global economy and a weaker U.S. dollar, according to FactSet. As of Feb. 16, 80 percent of the companies in the S&P 500 reported their fourth quarter 2017 results and 75 percent of them beat the expectations, which is higher than the 5-year average. Corporate earnings, a significant catalyst for the stock market, is also seeing double-digit growth. The blended growth rate for the fourth quarter of 2017 is 15.2 percent year-over-year. So far, it is the highest earnings growth recorded by the index since 2011. And it is the third time the index had double-digit growth in the past four quarters. The energy sector topped the list by posting an average year-on-year growth of 121 percent in the fourth quarter. As for valuations, the forward 12-month price/earnings (P/E) ratio is at 17.1, which is above the 5-year and the 10-year average. In December, President Donald Trump signed the tax reform bill into law. It was the biggest rewrite of the U.S. tax code in three decades. The tax legislation reduces the corporate tax rate from 35 percent to 21 percent and changes the way the government taxes U.S. companies that operate internationally. As of Feb 16, 355 companies have welcomed tax reform by announcing bonuses, raises, or 401(k) hikes for their employees. Companies like Wal-Mart Stores Inc., AT&T Inc., Comcast, American Airlines Inc., BB&T, U.S. Bancorp, and Fiat Chrysler Automobiles announced bonuses of up to $2,000 for their employees. So far, more than 3.5 million workers have benefited from special bonuses or additional wages thanks to tax cuts.